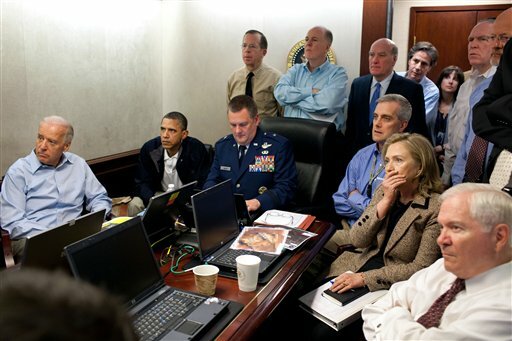 Much ink has been spilled over the now-iconic Situation Room image, showing President Obama, Hillary Clinton and top national security officials watching a brief on Osama bin Laden's killing. Particular attention has gone to Clinton's seemingly emotional expression (which she says may have been due to allergies) and to the one other woman in the shot, Audrey Tomasen, a counterterrorism analyst whom the media had never heard of before. But instead of analyzing the two female faces in the photo, one Brooklyn-based Hasidic newspaper, Der Zeitung, took a simpler approach: They just photoshopped them out. The Yiddish publication left two empty spaces in place of the two women. 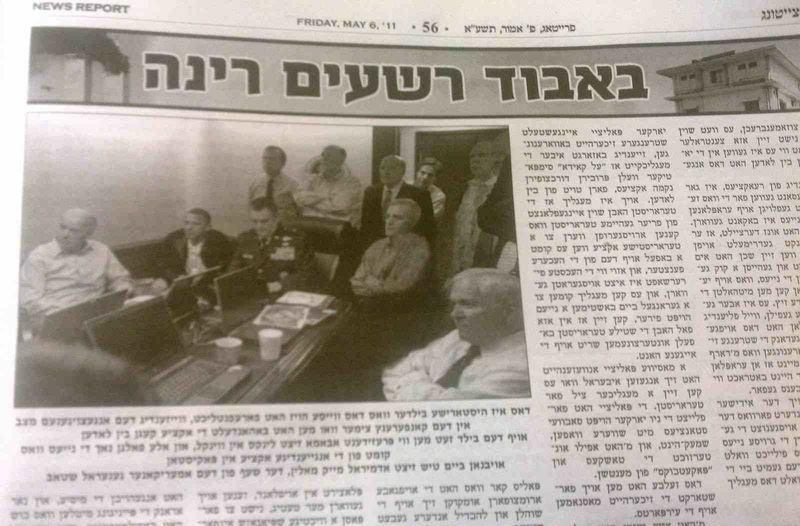 According to the Jerusalem Post, the blog Failed Messiah was the first to pick up on Der Zeitung's radically edited depiction of the Situation Room. According to Jezebel, "the religious paper never publishes pictures of women, as they could be considered 'sexually suggestive'." Credit: AP Photo/The White House, Pete Souza.